The Government of Rajasthan has decided to start the new government scheme in the state, keeping in mind the education of all the girls in the state. We want to tell you that the state government is going to start Rajasthan free education scheme officially in the state. The information about starting this scheme is given on the Twitter handle of the Rajasthan government, the Rajasthan government has started the scheme to increase the literacy rate of school girls in the state. The State Government will also constitute Complaints Committees in colleges to ensure a better and fear-free environment for all students, under this scheme. Apart from this, keeping in view the preparations for competitive examinations in colleges and universities, free coaching facility has been started in 40 colleges in the state. Under the scheme, free education will be provided to girls from nursery to college level to provide more accessible education to girls. Apart from this, internet facility will also be provided in about 13 thousand schools of the state. 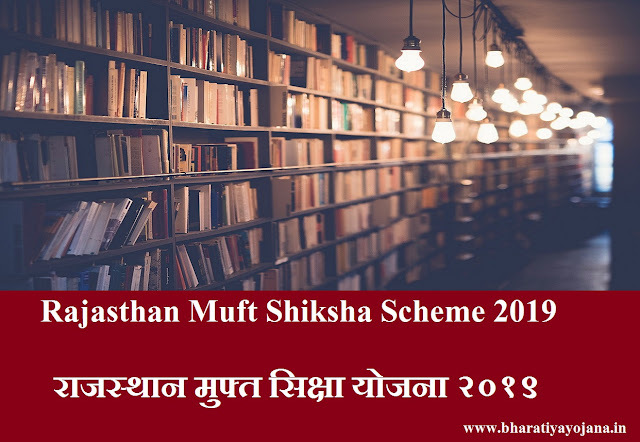 Free textbooks will also be provided to all students under the Rajasthan Free Education Scheme. Keeping in view better education, Rajasthan is considering using technology through bio-metric presence of girls every morning in all the colleges of the state. Not only this, through this new technique, the school authorities will send a message to the parents in the morning. Enabling that their child has reached college, along with all parents can send this message to the college that their child have gone to college from home.